We wanted to invite all of you to come Monday, 14th March (next Monday) to the 6th Annual Plainville Pizza Feud sponsored by the Plainville Chamber of Commerce. It is a great event which helps support the community here in Plainville. Come show your support of Vero and let your vote help us win the competition. You can come down to the newly renovated Plainville VFW (7 Northwest Drive, just one light north of Vero in Route 10) and taste pizzas in 6 categories from at least 4 of the local Pizza restaurants here in town. The event starts at 5:30 PM and tickets are $10 for adults and $5 for kids 5 and under. Tickets are available at the door. There will also be entertainment by DJ BB Pro. This is a family event and all are welcome. DJ BB Pro. This is a family event so all are welcome. Overall will be determined by you the people. So come tell Plainville whose pizza reigns supreme! We want to thank you all for coming out and supporting us in the 4th Annual Pizza Feud of Plainville! Nearly 170 people came out to eat and judge pizza from Vero and 5 other local pizza establishments last night. The competition was very good as many great pies were offered up by all the competitors. The people spoke and chose Vero Pizza as having the Best Cheese, Best Veggie, Best Specialty and Best Overall! 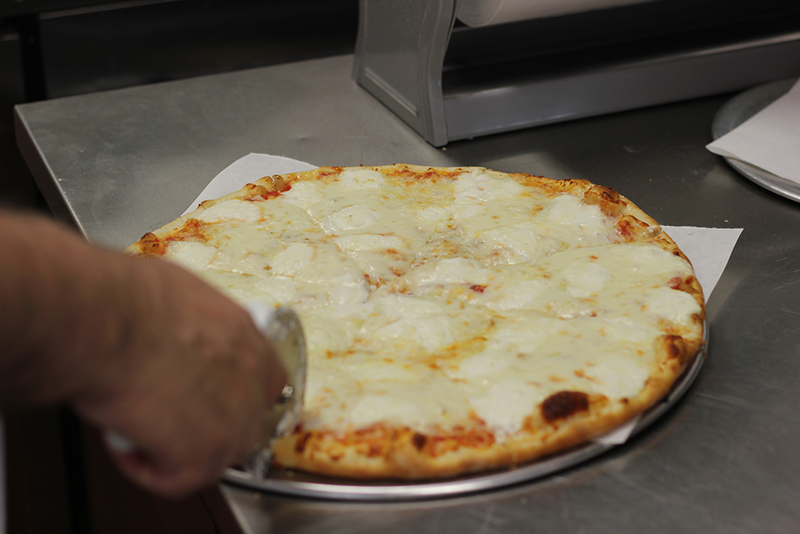 We are the best pizza in Plainville according to the people of Plainville and surrounding towns. We are still in shock! Thank you so much and we look forward to seeing you in the store soon! You're invited to the 4th Annual Pizza Feud of Plainville! This coming Tuesday, March 11th, the Plainville Chamber of Commerce will be hosting their 4th annual Pizza Feud. The event will take place at Nuchie's Restaurant (164 Central St., Bristol) from 5:30-7:45PM. For a $10 admission fee (children 5 and under $5) you will be able to taste pizzas from Plainville pizza shops and let your vote be heard. The categories: Best Cheese, Best Veggie, Best Meat and Best Specialty. All the votes will be tallied in the end to determine the best overall! There will be entertainment from DJ BB Pro, a 50/50 raffle and a cash bar. The event is open to the public! Come support Vero Pizza and have a nice night out! You're Invited to the 3rd Annual Pizza Feud of Plainville! This coming Tuesday, March 5th, the Plainville Chamber of Commerce will be hosting their 3rd annual Pizza Feud. The event will take place at Nuchie's Restaurant (164 Central St., Bristol) from 5:30-7:30PM. For a $10 admission fee, you will be able to taste pizzas from Plainville pizza shops and let your vote be heard. The categories: Best Chesse, Best Specialty and Best Overall. There will be entertainment from DJ BB Pro, a 50/50 raffle and a cash bar. The event is open to the public!